Day 2 of half term and the kids have spent the morning at a ‘Wet and Wacky’ fun session at the local swimming pool. It was an hour long, and they played loads of games like ‘stick in the mud’, relay races, corners and many other classic party type games but obviously all in the water. 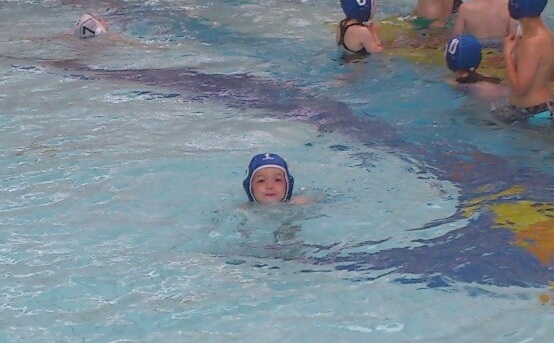 They even got a chance to have a little try at a game of water polo, they looked very cute in the water polo hats! They are booked in for another session on Friday and are already looking forward to it. It seems to have worn them out as they are now happily sat on a picnic rug in the garden doing some colouring! What have your half term activities been so far? Previous Post Creating with Aero!